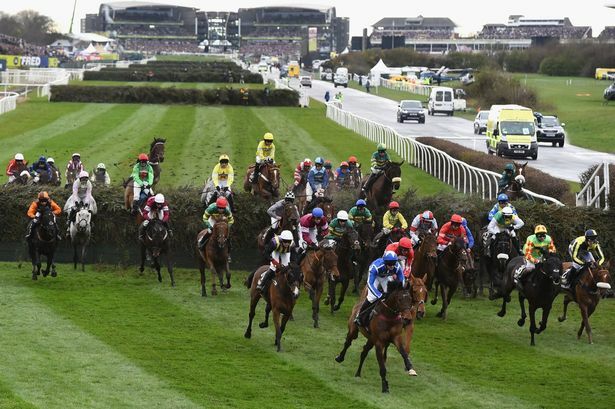 As we are finally getting over our Cheltenham blues, Spring is here and all our family and friends start to ask us what us racing fans are backing in the Grand National. In reality spring is not here, it is raining outside, we have only had all weather racing on due to abandoned meetings and you are probably better off asking your grandmas cat for a tip on the national than me. Of course every man and his dog backed One for Arthur last year. I was not one of them, I picked up the each way claim with a great run from Cause of causes into the runner up spot. Lets get one thing straight here it can be tough enough finding a winner in a four runner chase let alone picking a winner from a huge field over a monster trip. This will also not be easy to trade although not to say you won’t get a trade. We had a very good one on Bellshill in the Irish National the other day within the community. The likes of Bellshill and General Principle ran huge races in the Irish National three days ago and if they run here I am not sure if this race will come too soon. Henri Parry Morgan won only four days ago. The same can be said for horse’s that ran big races at the Cheltenham festival last month. The likes of Anibale fly, The last Samuri, Total recall, Tiger roll, Vintage clouds, Cogry, Cause of Causes all ran in big races at the festival although the latter did run very well in this race last year after Cheltenham success but would ideally need some drying ground. I have picked out two that I think have a lively chance. Three from the past six winning jockeys in this race it was their first ever ride in the National, Step forward Bryony Frost. Now no female Jockey has ever won the National so you might think I am mad even mentioning her however if a lady does win this historic race Bryony is the one to defy all the odds. She has been a breath of fresh air in the saddle this season. She was a Cheltenham festival winner in last year’s Fox hunters and has picked up some big winners this season often in the big races including picking up a Grade 1 win on Black Corton or “Blackie” as she calls him to become only the 2nd female to win a Grade 1 over obstacles..
She produced a cracking winning ride on Frodon in the Crest Nicholson Grade 3 chase around Cheltenham in January and an excellent front running victory ride on MILANSBARaround Warwick in the Grade 3 Betfred Handicap chase. That trip was over 3 miles and 5 furlongs. That was her only ever mount on the animal and she gets the ride in her first go in this race. MILANS BAR then ran well in front for the large part at Newcastle over 4 miles in the Betfred Eider Handicap chase finishing 5th up 9lb for his win the race before. He then ran excellently in front with a 7lb claimer on board finishing runner up over 4 mile 2 furlongs at Uttoxeter in the Midlands Grand National. That was on the 17th of March and trainer Neil King has said his animal has come out of that run well. Bryony has since given the horse a go over some National practice fences. He will go off 10 stone 5lb , a proven stayer, prominent runner, jumps well and will stay the trip. From a trading perspective I can see support coming for that horse with Bryony on board lots of ladies I am sure will be backing her to make history like what has happened in previous years with Nina Carberry and Katie Walsh in particular when Katie went off as Joint favourite on board Seabass in 2012 and finished 3rd then went off as favourite in 2013 on the same horse. Did I mention it is also in the blood? Bryony’s father Jimmy won this race on board Little Polveir in 1989. The 22 year old has won on her horse before, they go off a handy weight and the horse will stay the trip and should love the national fences, his ideal ground is soft to heavy..
Another prominent runner who recently returned to action on the 24th of March to finish 3rd over the short trip of 2 mile 3 furlongs. That was his first run in a year since having a wind operation. This lightly raced 10 year old longest trip he has won over is 2 mile 7 furlongs which includes beating last years national winner One for Arthur in 2015 at Kelso. He followed that victory up with another winner around Cheltenham beating one of this years favourites for the National in BLACKLION who goes off at the top of the weights in this race. He proved his staying power in the Scottish National two years ago leading until the last fence when taken on by VICENTE and beaten by 3 lengths to finish 3rd with VICENTE claiming victory and is now a dual winner of that race. I like the fact this animal comes here fresh. One sound run over a shorter trip to brush the cobwebs away and then comes here nicely prepared to take on the huge 4 mile 2 furlongs. A bit like Native Rivers preparation for the Gold cup before the festival. He has solid form over fences, goes off 10 stone 11 and can handle any ground. Most of his mounts have been with Bryan Hughes on board however Danny Cook was on board for his last run. Bryan Hughes will take the mount again and he should get a good ride from this very good pilot. So there you have it two staying prominent runners and we need a lot of luck. It really is a lottery of a race though. Enjoy the spectacle and let’s hope all jockey’s and horses come home safe.